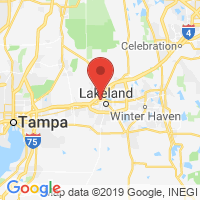 Thank you for visiting Wholesale Hyundai Parts, powered by Lakeland Hyundai in sunny Lakeland, Florida. We are one of the premier suppliers of OEM Hyundai Parts in the entire United States. On our site you will find parts for nearly every Hyundai vehicle from the popular Hyundai Sonata to the versatile Tuscon SUV. Don’t hesitate to reach out to us by e-mail or phone with any questions you may have on fitment or specific parts from our online store. Lakeland Hyundai is committed to giving our customers great service. Please look us up on Google+, Twitter and Facebook, and check out our ratings with the Better Business Bureau and Re-seller Ratings. We hope you enjoy your Hyundai Parts shopping experience! Please use the form or email us at parts@wholesalehyundaiparts.com. Average 4.9/5 stars on 335 reviews. so far so good . This is my first time with you guys I always buy oem so it is a pluss to find you guys..